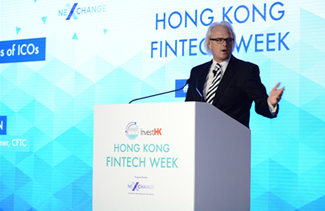 Hong Kong Fintech Week, organised by Invest Hong Kong (InvestHK), got off to busy start on Monday with a packed main hall and two separate well-attended workshops running concurrently as delegates heard about the latest developments in blockchain, the overarching theme of the day. 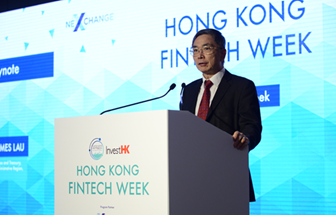 Juwan Lee, CEO and Founder of NexChange, which arranged day 1 and day 2 of Fintech Week, gave a welcome before passing to keynote speaker James Lau, Secretary for Financial Services and The Treasury. 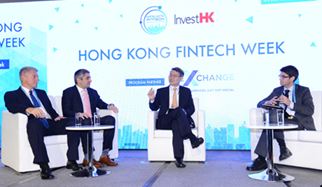 Mr. Lau spoke on behalf of the Hong Kong government and its regulators in saying they want to embrace Fintech companies, and welcome them to the transformation of Hong Kong’s financial centre and its financial services. 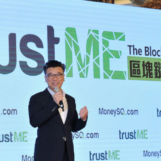 Part of the blockchain landscape includes initial coin offerings (ICOs) and Mr. Lau chose ICOs as an example of the challenges faced by the regulator. 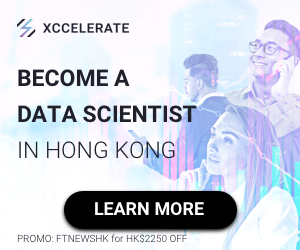 He said he was recently approached by ICOs to see if they would be welcome in Hong Kong. He told them that blockchain would be welcome as part of the Fintech development. 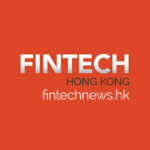 Later in the morning, Nelson Chow, Chief Fintech Officer of the Hong Kong Monetary Authority, while discussing blockchain on a panel, gave advance notice of a significant announcement due out Wednesday concerning a cross-broader collaboration. 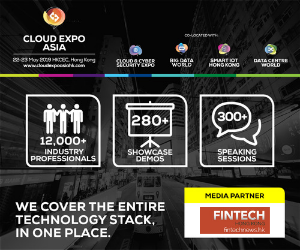 Dianrong CEO Soul Htite spoke about big data and how, by using it, Dianrong is able to address an imbalance in China where only 10% of the country’s 40 million SMEs can get access to capital, while US$7 trillion of investable wealth does not get used. He said Dianrong now uses blockchain to track transactions. 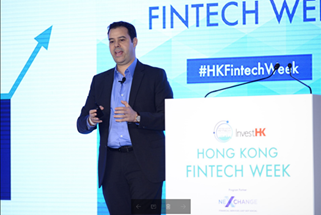 Returning to the subject of ICOs, Henri Arslanian, Fintech & Regtech Lead for China and Hong Kong at PwC, emphasised the need for the implementation of best practices, if the ICO is to be a success. He noted that “bad apples are the biggest risk” because they undermine trust. 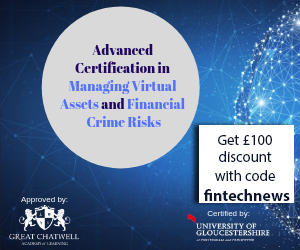 In the afternoon, James Dolphin, CIO, Retail, Private & Wealth Management at Standard Chartered Bank, said simply that software engineering is the most important thing – the key to success going forward. He interestingly noted that the “last place” software engineers want to be is in a highly regulated environment with a high level of legacy infrastructure. Moving forward, Mr. Dolphin cited the need for the business leaders to work more closely with front-line managers to ensure a good understanding of customer needs.